After members of the U.S. Olympic swim team claimed to have been robbed at gunpoint in Rio on Aug. 14, things have taken a sharp turn. Brazilian authorities alleged that their story was untrue, pointing to video footage and witness testimonies as evidence. Given the severity of the allegations and the implications of the alleged cover up (if the claims are untrue), will Ryan Lochte be suspended from swimming? Lochte and James Feigen claimed that they had been robbed at gunpoint on Sunday after leaving a club at 4 a.m. local time. They were with Gunnar Bentz and Jack Conger, as well, but Lochte and Feigen were the only members of the group to give statements to the police about the incident. If Lochte and Feigen's accounts are indeed false claims, Brazilian police could charge them for providing false testimonies. Feigen, who is still in Brazil, has agreed to pay approximately $10,800 as a donation, in order to retrieve his passport from Brazilian authorities and leave the country. His lawyer said "with that the case is resolved," according to NBC News. Lochte has maintained his story about the alleged robbery. However, if further investigations into his claims find them to be false, it's possible that Lochte could face suspension or expulsion from USA Swimming based on their code of conduct, the Associated Press reported. Bentz and Conger are back in the United States as of Friday morning after being removed from their flight on Wednesday night by Brazilian authorities. They were asked to provide further statements on the matter. According to People magazine, a police source said, "Their story was not right. … The stories that the two men [Lochte and Feigen] told us were not the same. The other two men would not speak to us. So we knew that they were lying." During a news conference, Civil Police Chief Fernando Veloso said, "No robbery was committed against these athletes. They were not victims of the crimes they claimed," NBC News reported. Veloso said, "The athletes should apologize for what they have done to the people of Rio," according to the Guardian. On Friday, Aug. 19, Lochte issued an apology to his Instagram account, which read, "I want to apologize for my behavior last weekend — for not being more careful and candid in how I described the events of that early morning and for my role in taking the focus away from the many athletes fulfilling their dreams of participating in the Olympics." We apologize to our hosts in Rio and the people of Brazil for this distracting ordeal in the midst of what should rightly be a celebration of excellence. The behavior of these athletes is not acceptable, nor does it represent the values of Team USA or the conduct of the vast majority of its members. We will further review the matter, and any potential consequences for the athletes, when we return to the United States. 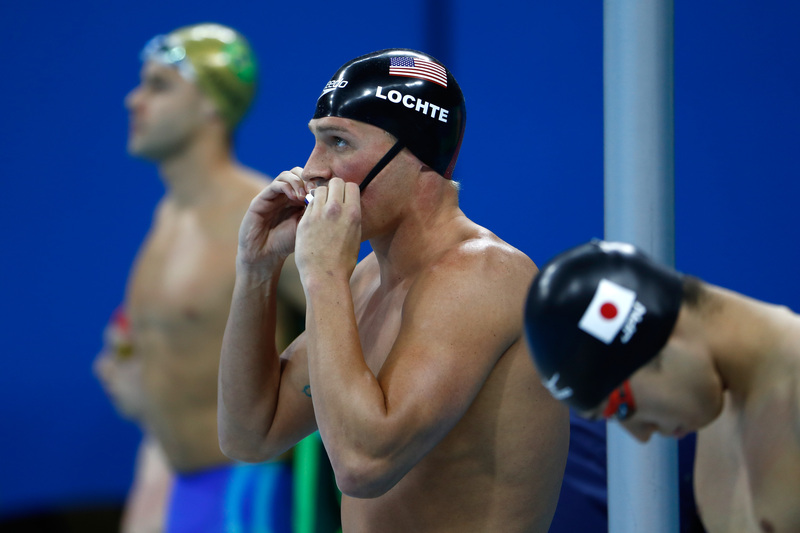 It's unclear at this point whether Lochte will face a suspension from USA Swimming, but the USOC will determine their next steps once the Olympics come to a close on Aug. 21.